Home Justice & Peace Working for Justice – The Shalom Centre for Conflict Resolution and Reconciliation. Working for Justice – The Shalom Centre for Conflict Resolution and Reconciliation. Working for Justice – The Shalom Centre for Conflict Resolution and Reconciliation P.O. Box 827-00606 Nairobi Kenya. ● Cultivate Conflict Resolution and Reconciliation. ● Provide conflicting parties with safe Forums for dialogue to ascertain their commitment to Conflict Resolution and Reconciliation. ● Carry out in-depth research of the root causes of intrastate and interstate conflict in the conflict environment and make findings available to relevant governments, ethnic representatives and Organisations. ● Engage the conflicting parties in Problem Solving Workshops oriented to permanent and positive peace. ● Train Peace Builders with the requisite skills and techniques for long term conflict resolution and management. ● Develop inter-ethnic schools and institutions with the aim of promoting “peace-education” in primary and secondary schools. A primary aim of peace education is de-legitimising the use of force in solving conflicts, and thus fostering a culture of peace. The Shalom Centre for Conflict Resolution and Reconciliation (SCCRR) is based in the African city of Nairobi in Kenya. Founded in 2009, its aim is to help in resolving conflicts and to bring about reconciliation. It aims to do this by promoting non-violent social transformation, integral human development and respect for local culture, traditions and justice. 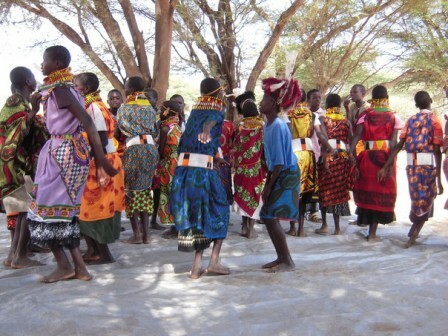 The Shalom Centre concentrates its work in the arid Northern Territories of Kenya where the nomadic pastoral communities have been engaged in conflicts with each other over many years. This area is home to seven major ethnic groups and also a disputed territory claimed by Kenya, Ethiopia and Sudan. This has given rise to a situation where there is little or no official state involvement or development in the region. As time went by SCCRR’s remit broadened to include the eight country regional development organisation known as IGAD (Intergovernmental Authority on Development). This region is an area characterized by long-standing episodes of violent conflict between members of different ethnic communities. As time went by SCCRR’s remit broadened to include the eight country regional development organisation known as IGAD (Intergovernmental Authority on Development). This region is an area characterized by long-standing episodes of violent conflict between members of different ethnic communities. The ultimate aim of the Shalom Centre’s intervention is for both sides in a conflict to participate in what is called a Problem Solving Workshop which results in a peace agreement implemented by both sides. The causes of conflict in this area are complex. They include e thnicity, as well as increasing competition for scarce water and grazing resources, made even worse by climate change. This competition has exacerbated the already tense relations between the ethnic groups. The lack of border security, state investment in the region and the pervasive belief that killing or taking revenge on people, outside one’s ethnic group is legitimate are also significant causes. Finally, the presence of outsiders with their own competing interests in the pastoral borderlands gives further cause for conflict. Add into this volatile mixture the ease with which firearms and ammunition change hands across borders ,as well as within Kenya, and it is easy to see why conflict is produced and reproduced in a cycle of violence and revenge. In the past, disputes and conflicts were settled with traditional weapons and negotiation. Today automatic weapons, especially the widely available and lethal AK47 assault rifle are used. As a result, injuries and the loss of life are much greater making the possibility of negotiation much less likely. While illicit weapons do not in themselves cause conflicts they multiply, sustain and fuel the cycle of violence. An example of this took place on May 4th 2011 when members of the Dassenach ethnic group attacked and killed thirty-eight Turkana people. A fundamental principal in the Shalom Centre’s approach is the belief that conflict cannot be resolved unless its root causes are addressed. In on-going African conflict environments people are killed, maimed, and displaced persistently. As a result,the social and religious values of truth, justice, peace and mercy cannot take deep root. It is very difficult to have sustained development as community centres, churches, schools, hospitals, become periodically inoperable. In such environments, people cannot live normal lives or experience true peace. Based on this understanding the Shalom Centre takes a very practical dual approach to conflict resolution. Firstly; it researches the root causes of conflict. Secondly; it trains representatives from each side (initially separately) in conflict transformation and peace building techniques. Both elements in this dual approach inform and help to facilitate a situation where the conflicted parties become open to creating the engagement and cooperation needed for peace and reconciliation. This will allow them to participate in what is called a “Problem Solving Workshop” during which conflict resolution can be agreed. 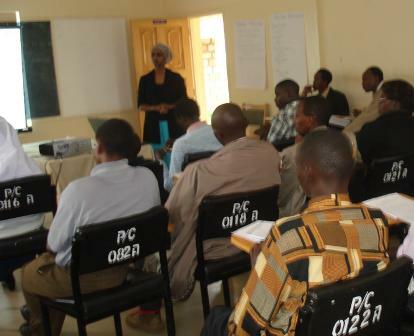 The work of the Shalom Centre trained individuals is to use their skills within their own communities to prepare them for participation in the Problem Solving Workshop. Training is tailored to each conflict situation by taking account of research data regarding its root causes. Training modules are written by professionals with qualifications in Peace Studies from the Catholic University of Eastern Africa in Nairobi. 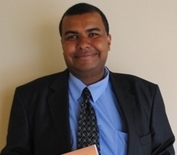 This work is undertaken with the assistance of Professor Robert Mudida (below) of Stratmore University, Nairobi. He also lectures at the Catholic University of Eastern Africa on the Theory of Conflict, Conflict Management, Diplomacy and International Economics. education for peace in local schools – see below. Research into the causes of conflict is undertaken by qualified academics and staff. The end result is a substantial piece of academic work, the purpose of which is to facilitate and inform the processes of training and subsequent reconciliation that leaders and representatives of both communities can engage in. The research also identifies ways in which the policies, directions and priorities of government, local and national, can help or hinder reconciliation. Research can take up to 18 months and it is not finalised until its findings are validated by participants from the communities in which the data was collected and who are in the last stage of their SCCRR training. This validated research then becomes the basis for the roadmap to conflict resolution that will be elaborated in Problem Solving Workshop. 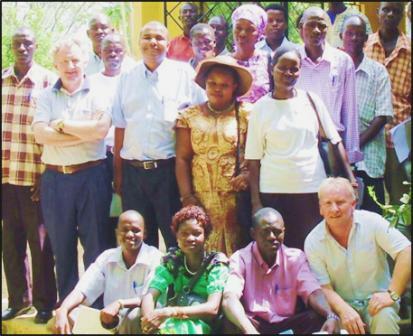 SCCRR training is delivered by a team of Kenyan, and international SCCRR staff including Fathers Ollie Noonan and Patrick Devine SMA. 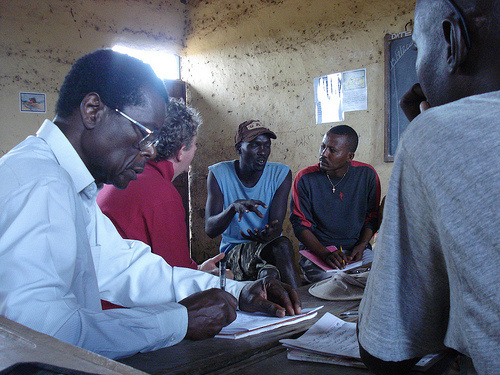 This consists of three Modules, each lasting two or three days and spread over a period of up to 18 months (Research work into the root causes of the conflict also takes place in this period) These are also referred to as Workshops but should not be confused with the Problem Solving Workshop which is the goal of the training and research. Training Workshop 1: Listens to the people’s own experience of conflict and then looks at different models for understanding conflict and how to manage it. The workshop then moves to conflict transformation explaining the need for personal, relational, structural and cultural transformation as well as the processes of reconciliation in divided societies. Conflict resolution is a complex and long process that must necessarily take place over a period of years. It also takes place in a changing political and social situation that affects the process itself, especially the pace at which it takes place. In particular, there have been two factors that have had an impact of the work of SCCRR. Kenya has recently adopted of a devolved system of governance. Time needs to be allowed for the new structures to take root and for new officials to take office. These will play an essential part in any peace initiative. While the slow implementation of the new structure has impeded progress to some extent, they will, in the end, assist the peace process by making government much more accessible than in the past. During 2012, SCCRR was requested by state officials, religious leaders and NGOs to assist in a programme in the “Prevention of Election Violence” during the March 4th general elections. Most of the work was concentrated in areas which experienced violence during the previous elections in 2007/8. While this programme temporarily diverted attention from on-going work, SCCRR was happy to undertake this intervention which contributed to the largely peaceful nature of the election process. These are some of the challenges of patience and cooperation which SCCRR meet as they implement the peace project in northern Kenya.ms that can engage the conflicting groups with each other, and also alter previously held negative attitudes and stereotypes. The training delivered during the first two workshops aims at providing participants with an understanding of the particular conflict and the skills for managing it. This allows them to analyse their own situation and to come to a new perspective that offers an alternative to viole nce. During the workshops participants can express their feelings, anger and resentment towards specific communities, issues or structures in the community which, in their view, cause or contribute to conflict. This is a positive step for the participants because reconciliation begins by talking-out the underlying issues of the conflict at hand. Training Workshop 3 is focused on how the skills and knowledge learned in 1 & 2 can be applied to the local situation. Part of this workshop is taken up with presenting and validating the findings of the Research. Participants are consulted in order to establish whether or not findings into the root causes are accurate. This stage was reached the first time in August 2013 when the validation of research findings from the Samburu/Turkana conflict took place. SCCRR met with the Samburu community to verify that the results from the analysis of the data collected earlier was correct. During the consultation the community listened to the findings, made clarifications and brought omissions to our attention. All this Is now in the process of being integrated into a final document which will be made available to the conflicting parties and also to state, religious and NGO groups. This then becomes the basis for the process of resolution as it identifies the root causes i.e. the issues that must be addressed if the conflict is to end. (Groups involved in another seven inter-ethnic conflicts have complete workshop 1 or 2 and will follow-on to the final training workshop in the future). The completion and validation of the research marks the beginning of the next stage in the conflict resolution process i.e. when those who have completed training begin to work within their own communities. Their role is to prepare their own community for the Problem Solving Workshop at which both sides of the conflict engage to establish a reconciliation agreement. The timescale for this stage is indeterminate as it entails familiarising the local community with the process, raising awareness of the need for, and benefits of reconciliation as well as identifying and preparing those who will engage in the Problem Solving Workshop. This process has to take place on both sides of the conflict. In addition to the engagement of key stakeholders such as ethnic leaders and community elders from the conflicting communities, the involvement of influential opinion shapers, state officials and policy formulators, government officials, religious leaders, police, school teachers, health workers etc. is also essential. All of these have important roles in the conflict zone. Without their participation and cooperation the implementing any agreement reached will not be possible. The Problem Solving Workshop: All of the stages described above, i.e. the research, training and preparation at local level culminate in the “Problem Solving Workshop.” The exact format and timing of this will be determined by the local situation and the preparedness of communities and representatives from both sides of the conflict. It is likely that it will take place over an extended period of time and involve many meetings and discussions not only with the parties directly involved but also with strategic people from the national and local government to ensure that policies, plans, development and use of resources support reconciliation. Eventually a road map for peace will be drawn up between both sides. This will then have to be implemented, monitored and lead not just to the absence of violence but to a situation of justice and peace. Another element in the work of the Shalom Centre is the promotion of conflict resolution through schools. This is a long-term initiative that aims to develop inter-ethnic primary and secondary schools. 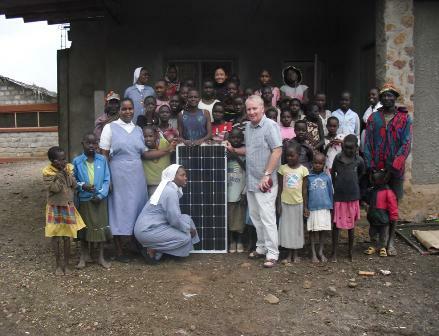 Participating schools are provided with solar lighting in order to promote an environment of peace where children can learn and where historical grievances and barriers between the different groups can be broken down. The light is necessary because much of this learning takes place in the evening time when the work of the day is done. So far over 50 schools are involved. SCCRR recognises that schools and education are important instruments for breaking the cycle of conflict and for creating an atmosphere for learning and being together. At present an Education for Peace module developed by the Shalom Centre and consisting of fourteen lessons delivered over one semester is being piloted in four schools. Work with schools and children runs in tandem with the training of adults in conflict areas. The aim of both is to gradually build acceptance and engagement with the reconciliation process in the wider community and to prepare it for the Problem Solving Workshop stage. Peace is not merely the absence of violence; it also entails reconciliation. In other words the bringing about of a situation where the parties in a conflict become mutually interested in creating the harmony and cooperation in which development can take place. The 2011 church document ‘Africae Munus’, the Vatican’s response to the last African Synod of Bishops, highlights the connection between reconciliation and development. It states: “Reconciliation overcomes crises, restores the dignity of individuals and opens up the path to development and lasting peace between peoples at every level.” Par 21. The Shalom Centre’s vision of a society where peace, social justice and reconciliation prevail reflects this connection. Its work is motivated by the Gospel call to love one’s neighbour and guided by the social teaching of the Church that emanates from it. The Northern Ireland peace process began in 1994. It is, nearly twenty years later, still on-going and still fragile. While this is the case, a remarkable change has taken place. The vast majority of people on both sides of this conflict no longer want to go back to the “bad old days” and while there are still deep-seated suspicions of the other side, there is openness to cooperation and reasonable compromise to ensure that this does not happen. ● A process for reconciliation has been established. ● It has been introduced in conflict regions. ● Research has developed valuable resources for conflict understanding and resolution (for eight separate conflicts). ● An extensive training programme has been developed. ● This has, and is being delivered over a wide area (dealing both with pre-election violence and inter-ethnic conflict). ● The Shalom Centre has built a reputational standing with local groups, the national Government and internationally in the IGAD region. The potential for positive results makes the continuation of SCCRR’s work imperative.